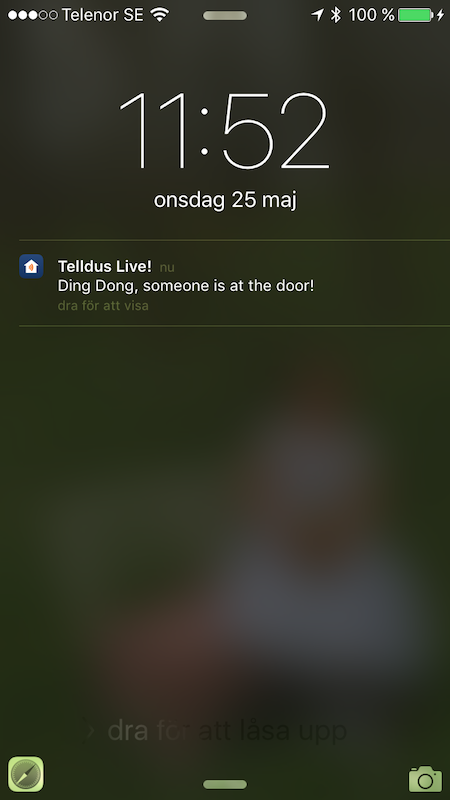 We are happy to announce that version 3.9 of Telldus Live! mobile is released! This version is shipped with a bunch of new features, and some minor changes in the UI. Now it's possible to include and exclude Z-Wave devices directly from the app! Z-Wave Secure and multi-channel devices are of course supported. 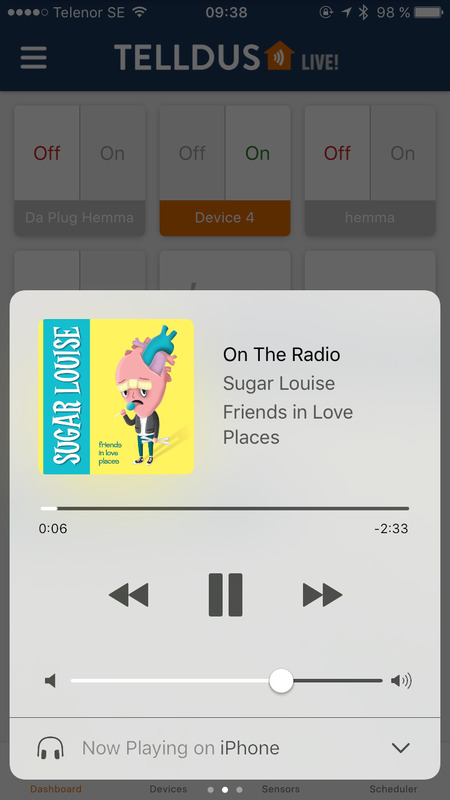 The add button in the top right of the device tab main screen takes you to the add Z-Wave device wizard. Device exclusion can be found in the gateway details screen, in a newly introduced tab, Z-Wave, for every Z-Wave supported gateway. An exclude button is also available in the device details screen, in the settings tab for all Z-Wave devices. Another UI update is a change of the add button’s position in schedule and gateway (on iOS) tabs. For the button to not interfere with the content, it is moved to the top right corner of these tabs. Introducing a new, effortless login method using Google account. In the app settings there is now the option to manage push enabled devices. You now have the option to change the reference name of your mobile device and remove old ones from the list. One thing in our previous release that we were hoping to improve in this version was the touch/zoom behaviour of the sensor history charts. Unfortunately in this version we were not able to get it as we want it. We will continue the work on this and hopefully update it soon. This is a phased release, meaning that you will receive the new version within a week from now. It's beginning to look alot like Xmas... and time for a new version of our app! Version 3.8 is now rolled out to all users, this version includes a highly requested feature: sensor history charts! It also includes sensor details and device types. For sensor history charts, it's possible to choose the span to show, show up to two scales at the same time and it's also possible to choose whether to interpolate the chart or not. To access the history, simply swipe the sensor row to the left, tap the settings icon and tap the ‘History’ tab. The sensor details shows the battery level (if supported by the sensor) and makes it possible to change the name of a sensor, select if it should be on the dashboard, if the sensor should be hidden or not, if sensor history should be stored or not and it’s also possible to delete sensor history. For better understanding the device icons are updated, and should now be able to distinguish various device types. It’s possible to zoom the chart, the zoom might not work like you are used to. The trick is to do the zoom gesture and keep your fingers on the screen until the desired zoom level. At the moment it's not possible to zoom when the chart is in fullscreen, this is because of some limitations in the underlying tech. For implementing the charts we’ve chosen to use VictoryChart, a popular library among the React Native community, as it provides good d3 implementation with a lot of flexibility. It is an actively maintained work so we expect the limitations in touch/zoom to be resolved in an upcoming release. We are now rolling out version 3.7 of our iOS and Android app. The main new feature is local control. This means that the control signals does not pass through the Telldus Live! cloud to get to TellStick, but instead is sent directly from the app to TellStick. This will make controlling devices a lot faster and it will also work even if the internet connection is down or if there are any issues with the Telldus Live! cloud. This is a phased rollout, this means that it can take up to one week before you get the new version. Local control is available for TellStick Net v2 and TellStick ZNet Lite v1/v2 when the phone is on the same network as your TellStick. When local control is available there will be a house icon instead of the cloud icon next to the TellStick. Also when controlling a device, the flashing indicator will be blue instead of orange when the control is done locally. Unfortunately, we need to drop support for Android version 4. We're working on adding support for iOS9 to this version but without local control. It's that time of year again, we're listening to our favourite music whilst we're testing out iOS 10. We're pleased to say that Telldus Live! mobile works like a charm so we can focus on implementing new features. Telldus Live! mobile app has been updated! We are happy to announce an update for the Telldus Live! mobile app! Among some of the new exciting features is translations in Swedish and Norwegian, an addition we know will please many of our users, more translations are coming. After feedback from our users we have extensively developed the dimmer slider. Test it by pressing and holding on a button for a dimmable device in the dashboard or device list. In the recent releases, including this one, we have focused a lot on the connectivity between the app and your TellStick. Your feedback has been very valuable and we encourage you to continue to give feedback on the app and all of our products. It all comes down to the fact that we want to give you the best experience so that you can reliably and conveniently interact with your Smart Home. We are continually investigating ways to improve the reliability of the connection, even if you are at home, in your summer cottage or laying on the beach in the Bahamas, you can be in control. 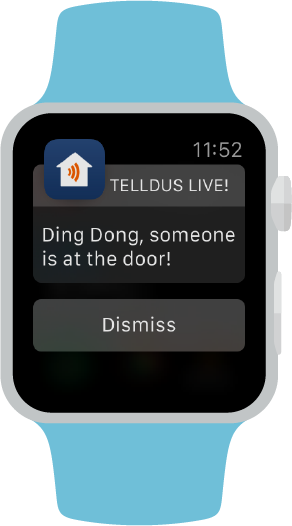 Over the past 2 weeks we have released several updates to Telldus Live! mobile, our mobile applications. We are very pleased to now have support for live updating of sensor values and device states, plus we have fixed a number of bugs including the login problems on Android and the scrolling hang issue on iOS. The apps are going to get a lot of love and attention over the coming weeks and months. Our focus initially has been to fix all the known bugs, but now and in the future we can focus more on new features and supporting more devices. We'd like to answer some of the common questions that we receive regarding the app so as to give you an idea of our future plans. Q: When will you support Windows Mobile? A: We are looking into this at the moment, we don't currently have a release date but we'll hopefully have some more information soon. Also we've not forgotten Blackberry, we'll update this with the next major release. A: We're aware of this issue and are testing a fix now. As this is a preview version of Andoid, it is expected there will be issues. We hope to release a fully tested working version before the public release of Android M though. A: Our focus right now will be on the main app to run on your mobile and tablet. We wish to support more devices, but we don't want to neglect the main app just to support a new device. Q: Why doesn't the app do "this"? A: We are trying to implement new features, and have our own growing wishlist, however we are very welcome to hear your ideas. Please let us know what you'd like by contacting us through the support system. Finally, we understand the app still might not work for everyone. So if you're experiencing any problems, we want to fix this for you! So please get in contact with us through our support system.